When Disney and Paramount started shooting a movie about the super-strong, spinach-eating sailor Popeye, they chose a gulf in the northwestern end of the Mediterranean island Malta as their set. Thus the fictional village of Sweethaven, where Popeye tirelessly and constantly rescues the gentle Ms. Olive Oyl, finally came to life. In the distant year of 1979, for a period of 7 months, a team of 165 people built 19 wooden houses, using a few thousand logs, 8 tons of nails, and more than 7 500 liters of paint. 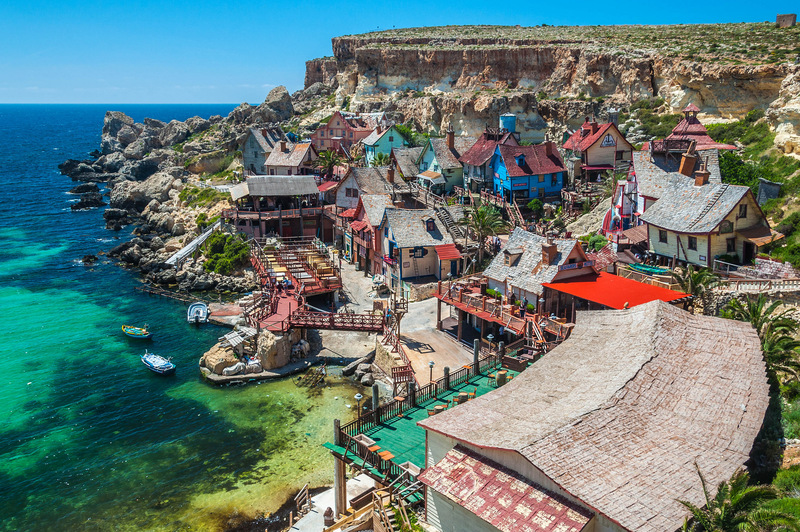 After it served its purpose as a movie set, Popeye s Village became one of the most popular tourist destinations in Malta. 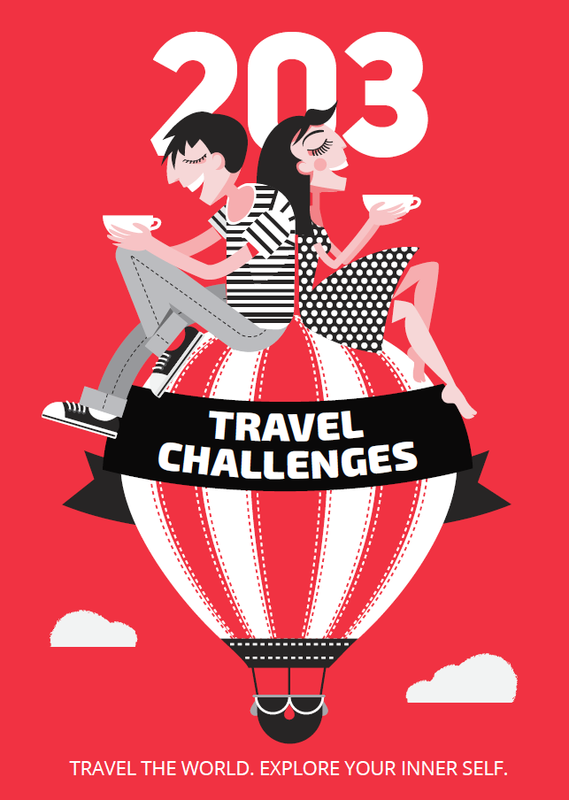 The fun is for people of all ages and includes water trampolines, boat rides, wooden deck chairs for sunbathing (which is why you are in Malta anyway), and educational games. 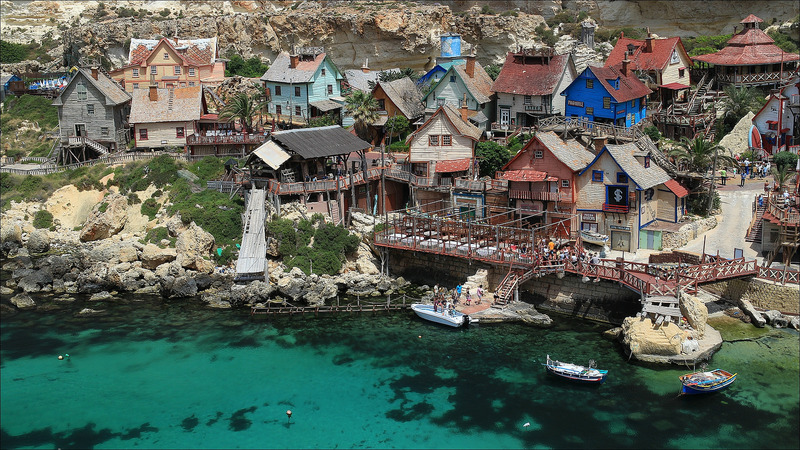 Useful information: Popeye s Village is located 3 kilometers away from the Mellieha, Malta. From Valletta, the capital, you can board bus number 42; from Sliema or St. Julian s take bus number 222. 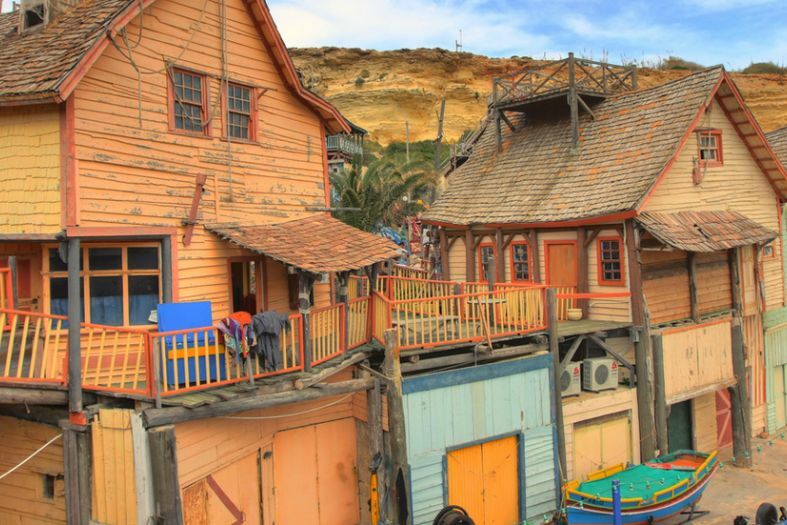 Get off in Mellieha – every hour you can take bus number 237, which will take you to Popeye’s Village. More information here.